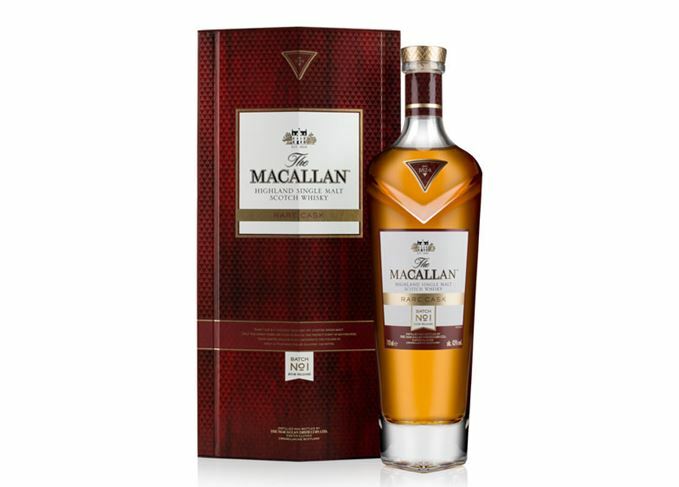 Macallan is to start releasing its Rare Cask expression in limited batches, in a move it believes adds to the brand’s ‘element of collectability’. The no-age-statement single malt, which is fully matured in first-fill Sherry casks, will now feature batch numbers and the year of release prominently on every bottle. Macallan Rare Cask Batch No. 1, 2018 is being launched globally this month, and will be the first of three batches released this year. However four batches will be released in each subsequent year. While the number of bottles will vary from batch to batch, each will be a vatting of 50 Sherry butts bottled at 43% abv. Macallan Rare Cask was first introduced as an extension to the distillery’s range in 2014, as a vatting of 16 different casks it claimed at the time was the most ever used for a single Macallan expression. Now the Rare Cask bottle has also been redesigned in keeping with Macallan’s recent packaging refresh, and comes presented in a mahogany-coloured gift box. Nick Savage, Macallan master distiller, said: ‘This whisky truly exhibits the art of cask selection and the role of our whisky making team to hand pick the casks for each batch. Macallan Rare Cask Batch No. 1, 2018 is available for around £230 per bottle. Macallan’s whisky has become some of the most collectable from Scotland, with the brand named the most investible and most traded at auction in 2017, according to specialists at Rare Whisky 101. In August this year, the sale of the limited edition Macallan Genesis caused traffic ‘chaos’ as collectors and investors queued outside the distillery in the hope of purchasing one of a reported 360 bottles available. It’s made for drinking, so why have some whiskies now become collectors’ items? Dave Broom joined an expedition of whisky lovers on an icy mountain for an unusual launch.